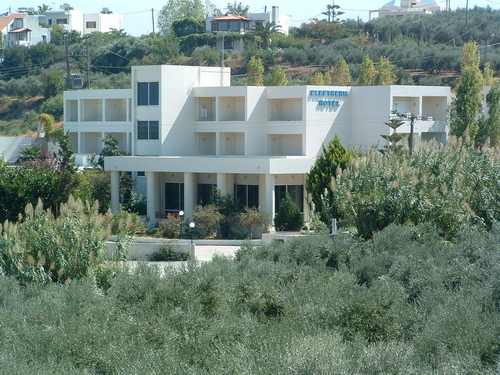 The Eleftheria Hotel is built on a hill and provides a magnificent panoramic view over a great part of the coastal area. 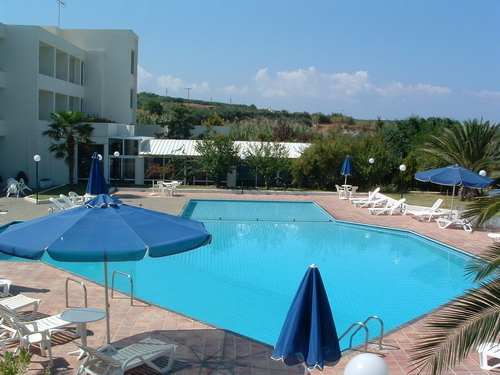 The quiet surrounding of this friendly family-run hotel makes an excellent place for relaxation and pleasant sun-filled hours at the pool area. 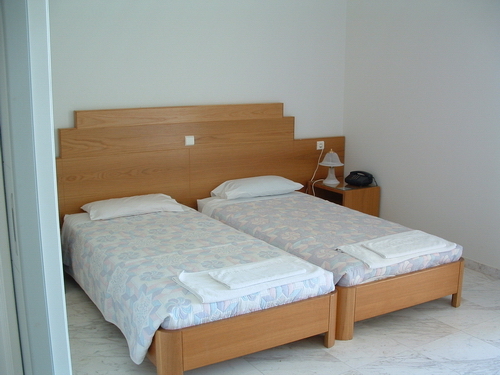 The hotel is located at a distance of approx. 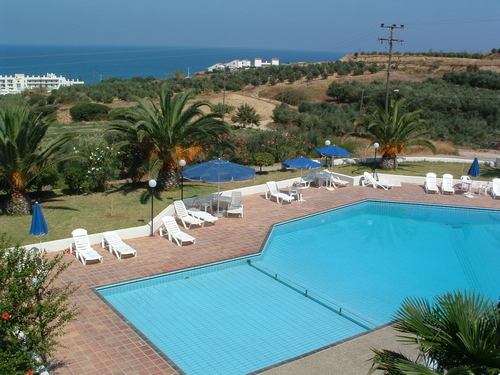 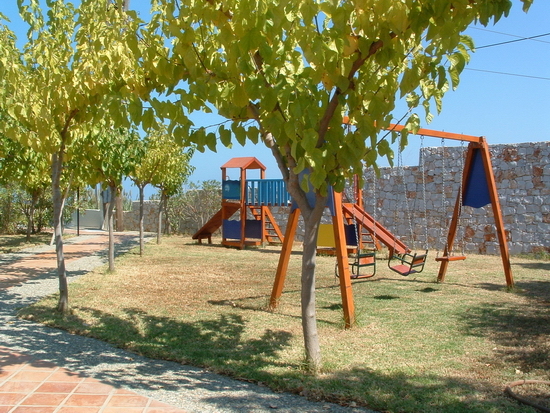 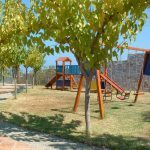 850m from the sea and the main street of the seaside village of Agia Marina, well-known for its fine sandy beach and therefore preferred by many visitors to West Crete. 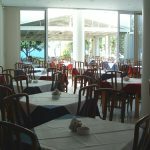 Along the main road of Agia Marina you can find tiny shops, mini-markets and local taverns serving both international and delicious local dishes. 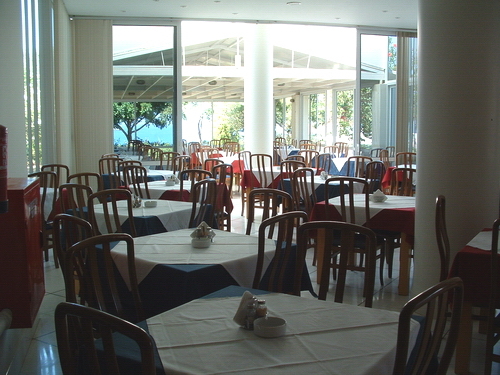 The shuttle-bus service provided by the hotel makes it easy to get to the main road of Agia Marina several times daily. 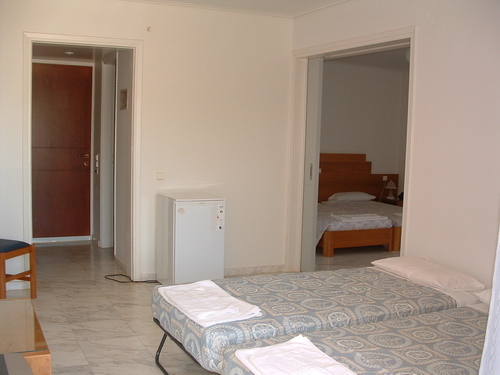 The hotel has a total of 83 comfortable rooms spread in three buildings.